The Estate Agency arm provides an individually tailored professional service in keeping with the professional standards expected of a practice regulated by the Royal Institution of Chartered Surveyors. 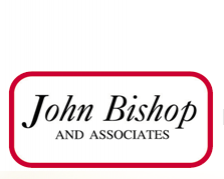 If you have a property, commercial shop/unit or land to sell, John Bishop & Associates with all its traditional values is one of the few truly independent and sole trading estate agents you can choose. We pride ourselves on delivering a personal service combined with the detailed knowledge of the area expected of a local agent. We provide FREE property valuations for prospective vendors, with advice on a bespoke marketing strategy. Your property will be marketed with a full listing on Rightmove as well as comprehensive property details including extensive external and internal shots. Our clients are updated weekly so they are never left in the dark. We will be there to help you through the entire sales process to make it a stress free experience. For an Independent approach from a local company, run by local people with years of experience and courtesy together with 21st Century technology. Click here to find out more. JBPC Ltd provide property valuations and town planning consultancy services. This means we have access to a range of personal data that is treated confidentially and securely. In order to accept and issue instructions we will collect from you your name, address, telephone numbers and email addresses in order to communicate effectively with you in regard to any given project. We would normally collect and use data only for the performance of a contract with the client or with a contractor or consultant that we have engaged on behalf of a client. We may also hold data in order to fulfil a legal obligation and it will only be used to protect your legitimate interests. If none of the above provisions apply then we would ask you for your consent to hold data. To assist you with disputes or insurance claims. Where we rely on third parties for data hosting and storage. To maintain your rights, we require third parties with access to personal information to comply with GDPR. As a matter of course, we will retain personal data for up to seven years. This timescale will run from the fulfilment of the instruction/contract on any given property of project. A subject access request allows you to ask for details of what information is held. You can request deletion of personal data, although this may not be possible if there is a legitimate reason for holding it such as a legal requirement. You can request a correction where you believe that data is inaccurate. You can impose reasonable restrictions on the use of data. You can also withdraw consent already given. Complaints regarding the handling of personal data should be sent to the above email address in the first instance. If you remain dissatisfied with any follow up action you are entitled to refer the matter to the Information Commissioners Office, Wycliffe House, Wlmslow, Cheshire SK9 5AF.